Ever since I’ve become interested in living more sustainably and ethically I’ve been concerned with the consumerism of fast fashion. I dont like having to buy new clothes constantly plus I dont have tons of free space in my house nor do I have the budget to buy huge amounts of clothes for baby Rupert. So, I decided to create a capsule wardrobe for my baby. I’ve already talked a bit about slow style and my quest to create a capsule wardrobe for myself, so this wasn’t a new concept to grasp. However, it actually turned out much easier to build a minimal capsule wardrobe for a baby than for myself. 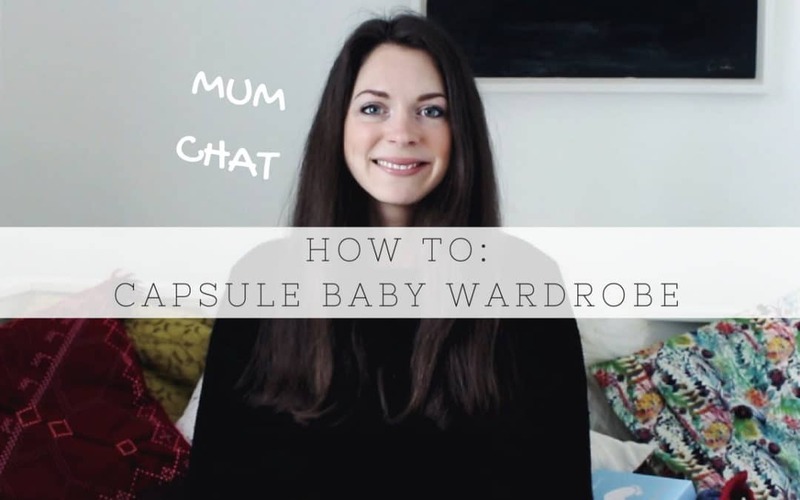 After a bit of research and trial and error, I settled on a formula for the baby capsule wardrobe. This formula will vary depending on how many times you wash your babies clothes and also whether your baby just gets through more things in a day. Either way adapt this formula to suit your baby. Step one: Chose a colour palette. Just like you do with your own capsule wardrobe, choosing a colour palette is an important step. A colour palette ensures you end up with clothes that work really well with each other and gives you lots of outfit combinations. For Rupert I was really inspired by Petit Bateau and so chose navy, white and red as his main colours. Step two: Decide on how often you’ll wash. I knew I’d be washing baby clothes daily as I use reusable wipes and sometimes cloth nappies. As I wash often it means I need less clothes. Step three: Fill out the below formula with quantities. I’ve filled it in with mine so you can see what worked well for us!